Provide comfort for the family of Alice Banaszak with a meaningful gesture of sympathy. Alice McGill Banaszak, 89, of Battle Creek, Michigan, left us to join her family in heaven on, March 29, 2019, in the loving care of her family, and extended family at Farleigh Senior Care Facility and Grace Hospice. She was born in Dundee, Scotland on April 28 1929, the daughter of Michael Conlin and Eva (Morris) Conlin who immigrated to the United States from Scotland in the early 20’s. Living in Detroit, MI at the time, her mother wanted to visit her parents in Scotland during her pregnancy. Travel arrangements being as they were back then, her mother was not able to make it back to the United States prior to her birth. Alice graduated from Lakeview High School in 1947 although she attended Battle Creek School systems up until her senior year. She started her working career working the snack bar at Percy Jones Hospital at the age of 15. She worked several other places throughout her career and retired from Clark Equipment Company as an Insurance Clerk in 1970. She was an Auxiliary Member of the American Legion Post 298 for over 25 years. She became an official United States Citizen in June of 2017. Alice is survived by her Son, Edward (Marilyn) Banaszak Jr.; Sister Sandra (James) Brehm, 5 grandchildren, several great-grandchildren, nieces, nephews and other family members, and Kathy Banaszak a dear friend and hairdresser for over 30 years. She was preceded in death by her Father and Mother, loving and caring husband, Edward Banaszak Sr., Daughters, Linda (Jeff) Brust; Diana Williams; and Son, Michael Hill. In her younger years Alice enjoyed working in the yard and taking care of her home, traveling and entertaining family and friends. More recently she enjoyed going to the American Legion and having a drink while playing the pull-tab tickets and would tease the staff about putting more “winning tickets” in the machine. She also loved to donate her winnings to the local casino. Over the last few years she enjoyed going to the Legion horseshoe matches and enjoyed the camaraderie of the group. Alice had a quick wit and spontaneity that would surprise and entertain most. The family would like to send a special thank you to the Kellogg 25 Year Club and the Veterans Affairs for affording Alice a comfortable lifestyle in her last years. Visitation will be held at the Baxter Funeral & Cremation Service, 375 W. Dickman Road on March 20, 2019, at 2:00 p.m. followed by services at 3:00 p.m. with Grace Hospice Chaplin, Rachel Lewis officiating. In lieu of flowers donations can be made to the American Legion Post 298 Auxiliary. A celebration of life will take place at the American Legion Post 298, 228 N. 20th Street after the service. We invite all family and friends to take part in the event. Arrangements by the Baxter Funeral and Cremation Service. To send flowers in memory of Alice McGill Banaszak (Conlin), please visit our Heartfelt Sympathies Store. 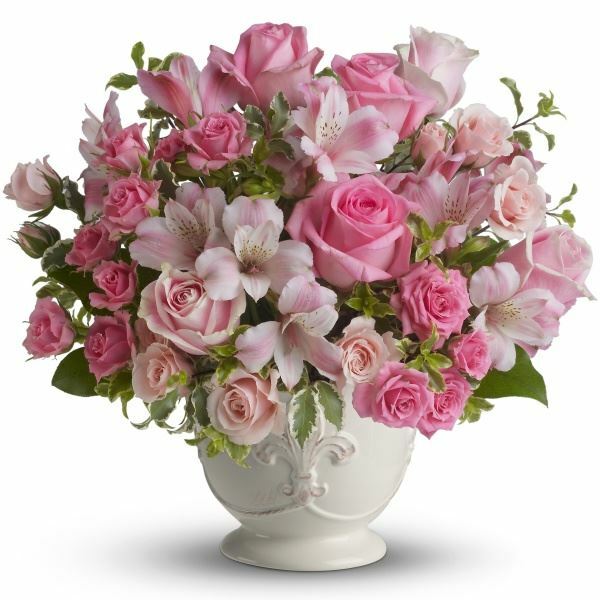 Provide comfort for the family of Alice McGill Banaszak (Conlin) by sending flowers. With loving memories of Alice. You are in our thoughts and prayers today. Sending our love, cousins Patty, Midge, Shelly, Dee, Crissy & families. Heartfelt Sympathies Store purchased flowers for the family of Alice Banaszak.